Home / Popular Brands / Gonsalves / Gonsalves Hot Sauces / Gonsalves Hot Chopped Peppers 16 oz. Home / Foods of New England / Brands (New England Favorites) / Gonsalves / Gonsalves Hot Sauces / Gonsalves Hot Chopped Peppers 16 oz. Home / Pantry Items / Meats & Seafood / Meat & Refrigerated Food Brands / Gonsalves / Gonsalves Hot Sauces / Gonsalves Hot Chopped Peppers 16 oz. Home / New England Classics / Meats & Seafood / Meat & Refrigerated Food Brands / Gonsalves / Gonsalves Hot Sauces / Gonsalves Hot Chopped Peppers 16 oz. Home / Hot GIFT Ideas / Gifts For Him / Meats & Seafood / Meat & Refrigerated Food Brands / Gonsalves / Gonsalves Hot Sauces / Gonsalves Hot Chopped Peppers 16 oz. Home / Foods of New England / Meats & Seafood / Meat & Refrigerated Food Brands / Gonsalves / Gonsalves Hot Sauces / Gonsalves Hot Chopped Peppers 16 oz. Home / Meats & Seafood / Meat & Refrigerated Food Brands / Gonsalves / Gonsalves Hot Sauces / Gonsalves Hot Chopped Peppers 16 oz. Home / Specialty Grocery / Meats & Seafood / Meat & Refrigerated Food Brands / Gonsalves / Gonsalves Hot Sauces / Gonsalves Hot Chopped Peppers 16 oz. Home / Hot GIFT Ideas / Gifts For Him / Party Favorites / Meats & Seafood / Meat & Refrigerated Food Brands / Gonsalves / Gonsalves Hot Sauces / Gonsalves Hot Chopped Peppers 16 oz. 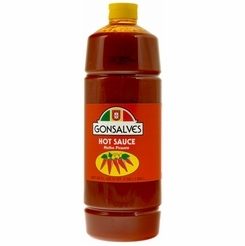 Home / Local Portuguese Foods / Portuguese Brands / Gonsalves / Gonsalves Hot Sauces / Gonsalves Hot Chopped Peppers 16 oz. 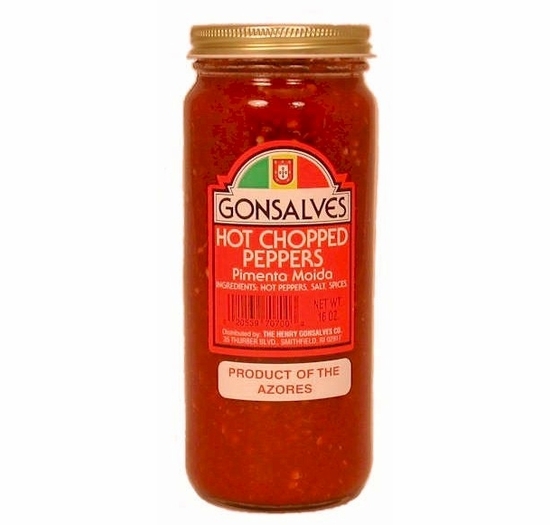 Home / Pantry Items / Global Favorites / Local Portuguese Foods / Portuguese Brands / Gonsalves / Gonsalves Hot Sauces / Gonsalves Hot Chopped Peppers 16 oz. Home / Specialty Grocery / Global Favorites / Local Portuguese Foods / Portuguese Brands / Gonsalves / Gonsalves Hot Sauces / Gonsalves Hot Chopped Peppers 16 oz. 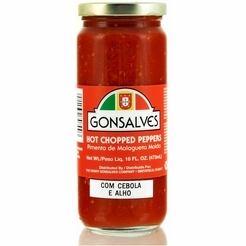 Home / Pantry Items / Hometown Food Favorites / Global Favorites / Local Portuguese Foods / Portuguese Brands / Gonsalves / Gonsalves Hot Sauces / Gonsalves Hot Chopped Peppers 16 oz. Home / New England Classics / Hometown Food Favorites / Global Favorites / Local Portuguese Foods / Portuguese Brands / Gonsalves / Gonsalves Hot Sauces / Gonsalves Hot Chopped Peppers 16 oz. Home / Foods of New England / Hometown Food Favorites / Global Favorites / Local Portuguese Foods / Portuguese Brands / Gonsalves / Gonsalves Hot Sauces / Gonsalves Hot Chopped Peppers 16 oz. Home / Specialty Grocery / Hometown Food Favorites / Global Favorites / Local Portuguese Foods / Portuguese Brands / Gonsalves / Gonsalves Hot Sauces / Gonsalves Hot Chopped Peppers 16 oz. Home / Foods of New England / Local Portuguese Foods / Portuguese Brands / Gonsalves / Gonsalves Hot Sauces / Gonsalves Hot Chopped Peppers 16 oz. Home / Pantry Items / Dried and Canned Vegetables / Gonsalves Hot Chopped Peppers 16 oz. Home / Local Portuguese Foods / Dried and Canned Vegetables / Gonsalves Hot Chopped Peppers 16 oz. Home / Pantry Items / Global Favorites / Local Portuguese Foods / Dried and Canned Vegetables / Gonsalves Hot Chopped Peppers 16 oz. Home / Specialty Grocery / Global Favorites / Local Portuguese Foods / Dried and Canned Vegetables / Gonsalves Hot Chopped Peppers 16 oz. Home / Pantry Items / Hometown Food Favorites / Global Favorites / Local Portuguese Foods / Dried and Canned Vegetables / Gonsalves Hot Chopped Peppers 16 oz. Home / New England Classics / Hometown Food Favorites / Global Favorites / Local Portuguese Foods / Dried and Canned Vegetables / Gonsalves Hot Chopped Peppers 16 oz. Home / Foods of New England / Hometown Food Favorites / Global Favorites / Local Portuguese Foods / Dried and Canned Vegetables / Gonsalves Hot Chopped Peppers 16 oz. Home / Specialty Grocery / Hometown Food Favorites / Global Favorites / Local Portuguese Foods / Dried and Canned Vegetables / Gonsalves Hot Chopped Peppers 16 oz. Home / Foods of New England / Local Portuguese Foods / Dried and Canned Vegetables / Gonsalves Hot Chopped Peppers 16 oz. Home / Specialty Grocery / Dried and Canned Vegetables / Gonsalves Hot Chopped Peppers 16 oz. Home / Local Portuguese Foods / Sauces & Spicy Hot & Pickled Products / Gonsalves Hot Chopped Peppers 16 oz. Home / Pantry Items / Global Favorites / Local Portuguese Foods / Sauces & Spicy Hot & Pickled Products / Gonsalves Hot Chopped Peppers 16 oz. Home / Specialty Grocery / Global Favorites / Local Portuguese Foods / Sauces & Spicy Hot & Pickled Products / Gonsalves Hot Chopped Peppers 16 oz. Home / Pantry Items / Hometown Food Favorites / Global Favorites / Local Portuguese Foods / Sauces & Spicy Hot & Pickled Products / Gonsalves Hot Chopped Peppers 16 oz. Home / New England Classics / Hometown Food Favorites / Global Favorites / Local Portuguese Foods / Sauces & Spicy Hot & Pickled Products / Gonsalves Hot Chopped Peppers 16 oz. Home / Foods of New England / Hometown Food Favorites / Global Favorites / Local Portuguese Foods / Sauces & Spicy Hot & Pickled Products / Gonsalves Hot Chopped Peppers 16 oz. Home / Specialty Grocery / Hometown Food Favorites / Global Favorites / Local Portuguese Foods / Sauces & Spicy Hot & Pickled Products / Gonsalves Hot Chopped Peppers 16 oz. Home / Foods of New England / Local Portuguese Foods / Sauces & Spicy Hot & Pickled Products / Gonsalves Hot Chopped Peppers 16 oz. Home / Pantry Items / Condiments, Sauces, Dressings, & More / Hot Sauces & More / Gonsalves Hot Chopped Peppers 16 oz. Home / New England Classics / Condiments, Sauces, Dressings, & More / Hot Sauces & More / Gonsalves Hot Chopped Peppers 16 oz. Home / Hot GIFT Ideas / Gifts For Him / Party Favorites / Condiments, Sauces, Dressings, & More / Hot Sauces & More / Gonsalves Hot Chopped Peppers 16 oz. Home / BBQ & Grilling / Condiments, Sauces, Dressings, & More / Hot Sauces & More / Gonsalves Hot Chopped Peppers 16 oz. Home / Hot GIFT Ideas / BBQ & Grilling / Condiments, Sauces, Dressings, & More / Hot Sauces & More / Gonsalves Hot Chopped Peppers 16 oz. Home / Hot GIFT Ideas / Gifts For Him / Party Favorites / BBQ & Grilling / Condiments, Sauces, Dressings, & More / Hot Sauces & More / Gonsalves Hot Chopped Peppers 16 oz. Home / Specialty Grocery / Condiments, Sauces, Dressings, & More / Hot Sauces & More / Gonsalves Hot Chopped Peppers 16 oz. Home / Foods of New England / Condiments, Sauces, Dressings, & More / Hot Sauces & More / Gonsalves Hot Chopped Peppers 16 oz. Home / Pantry Items / Condiments, Sauces, Dressings, & More / Peppers / Gonsalves Hot Chopped Peppers 16 oz. Home / New England Classics / Condiments, Sauces, Dressings, & More / Peppers / Gonsalves Hot Chopped Peppers 16 oz. Home / Hot GIFT Ideas / Gifts For Him / Party Favorites / Condiments, Sauces, Dressings, & More / Peppers / Gonsalves Hot Chopped Peppers 16 oz. Home / BBQ & Grilling / Condiments, Sauces, Dressings, & More / Peppers / Gonsalves Hot Chopped Peppers 16 oz. Home / Hot GIFT Ideas / BBQ & Grilling / Condiments, Sauces, Dressings, & More / Peppers / Gonsalves Hot Chopped Peppers 16 oz. Home / Hot GIFT Ideas / Gifts For Him / Party Favorites / BBQ & Grilling / Condiments, Sauces, Dressings, & More / Peppers / Gonsalves Hot Chopped Peppers 16 oz. Home / Specialty Grocery / Condiments, Sauces, Dressings, & More / Peppers / Gonsalves Hot Chopped Peppers 16 oz. Home / Foods of New England / Condiments, Sauces, Dressings, & More / Peppers / Gonsalves Hot Chopped Peppers 16 oz.